The Antonov An-225 Mriya (Ukrainian: Антонов Ан-225 Мрія, lit. 'dream' or 'inspiration', NATO reporting name: "Cossack") is a strategic airlift cargo aircraft that was designed by the Antonov Design Bureau in the Ukrainian SSR within the Soviet Union during the 1980s. It is powered by six turbofan engines and is the heaviest aircraft ever built, with a maximum takeoff weight of 640 tonnes (710 short tons; 630 long tons). It also has the largest wingspan of any aircraft in operational service. The single example built has the Ukrainian civil registration UR-82060. A second airframe with a slightly different configuration was partially built. Its construction was halted in 1994 because of lack of funding and interest, but revived briefly in 2009, bringing it to 60–70% completion. On 30 August 2016, Antonov agreed to complete the second airframe for Aerospace Industry Corporation of China (not to be confused with the Aviation Industry Corporation of China) as a prelude to AICC commencing series production. By 2000, the need for additional An-225 capacity had become apparent, so the decision was made in September 2006 to complete the second An-225. The second airframe was scheduled for completion around 2008, then delayed. By August 2009, the aircraft had not been completed and work had been abandoned. 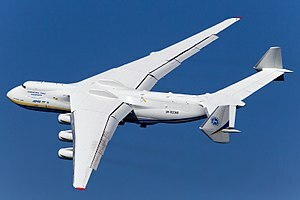 In May 2011, the Antonov CEO is reported to have said that the completion of a second An-225 Mriya transport aircraft with a carrying capacity of 250 tons requires at least $300 million, but if the financing is provided, its completion could be achieved in three years. According to different sources, the second aircraft is 60–70% complete. 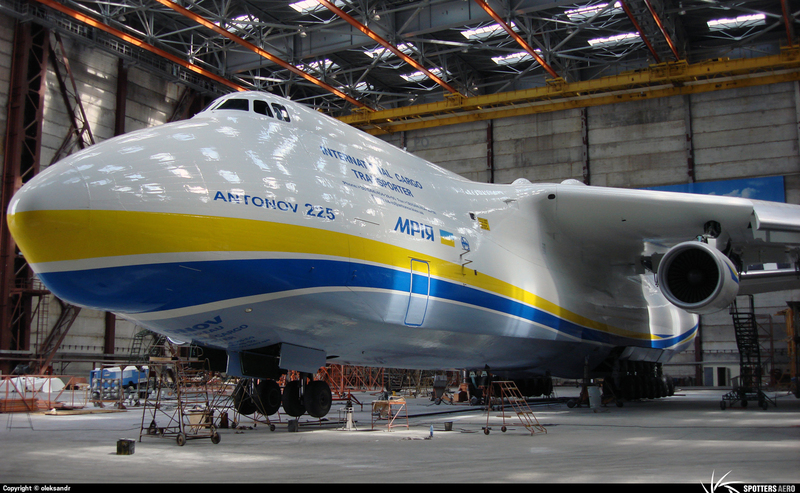 In August 2016, representatives from Ukraine's Antonov and Airspace Industry Corporation of China (AICC), an import-export company operating out of Hong Kong, signed an agreement to recommence production of the An-225, with China now planning to procure and fly the first model by 2019. The aviation media cast doubt on the production restart, indicating that due to the ongoing Russia–Ukraine conflict needed parts from Russia are unavailable, although they may be made in China instead. 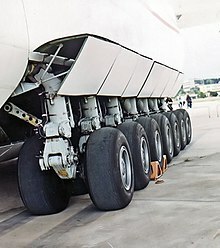 The An-225's pressurized cargo hold is 1,300 m3 (46,000 cu ft) in volume; 6.4 m (21 ft 0 in) wide, 4.4 m (14 ft) high, and 43.35 m (142 ft 3 in) long — longer than the first flight of the Wright Flyer. The An-225 has been contracted by the Canadian and U.S. governments to transport military supplies to the Middle East in support of coalition forces. An example of the cost of shipping cargo by An-225 was over 2 million DKK (approx. €266,000) for flying a chimney duct from Billund, Denmark to Kazakhstan in 2004. ^ a b c d e f g An-225 (An-225-100) "Мрiя". Russian Aviation Museum, 20 October 2001. Retrieved: 31 October 2010. ^ Fedykovych, Pavlo (31 August 2018). "World's biggest unfinished plane hidden in a hangar". CNN Travel. Retrieved 1 September 2018. ^ "Ukraine may finish the construction of second An-225 Mriya transport aircraft – News – Russian Aviation". Ruaviation.Com. Retrieved 6 April 2012. ^ Правительство задумалось о "Воздушном старте". Interfax (in Russian). 23 April 2013. Retrieved 29 April 2013. ^ "A private company to run the world's largest transport aircraft production in China? The truth is…". Toutiao (in Chinese). 1 September 2016. Retrieved 6 September 2016.